Named after a city where beer drinking has evolved into a culture, Bar Munich in Houston is every pub lover's picture of a perfect evening. Dressed in an Oktoberfest theme without seeming gimmicky, this joint serves a full menu of traditional Deutsche cuisine and beers rarely found outside the German hinterlands. The clean styling and laidback vibe of Houston pubs is faithfully replicated in the pub, which specifies the utter absence of cover charges or the particularity of a dress code. Pair their smoky kielbasa and bratwurst, Polish and German sausages, with the wide array of German beers for a truly fulfilling experience. To explode with the spirit of pubbing, do try their special cocktail - the Munich Bomb. 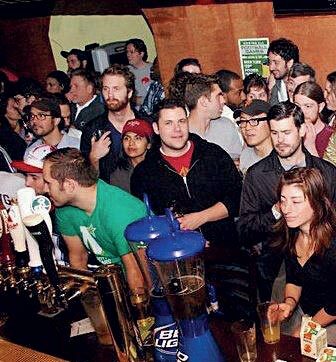 No sports bar can ever match up to the feeling that Mulholland's Bar in Brooklyn induces, insist its loyal patrons. Its famous chicken wings are a primary reason why most love to catch the game there. The other reasons are, of course, the coolest condo-crowd - welcoming and friendly but not above jeering occasionally at opposing fans. On chilly nights the floor-to-ceiling stone fireplace is lit, adding warmth to the place. 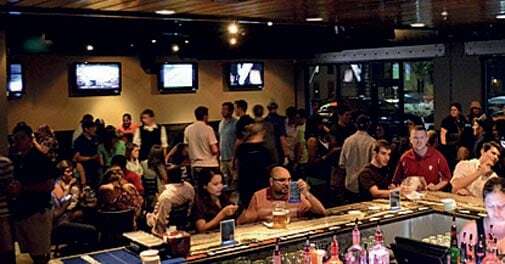 The only place this side of Brooklyn to be completely dedicated to sports, Mulholland's has a 50-foot mahogany bar, 12 HD plasma television screens and 22 kinds of beer on tap. And, feel free to wear your jerseys because others will be too. The Underground at Chicago, an avant garde military-themed club, is the epitome of kitsch with artillery case cocktail tables and glowing world maps. The convincingly bomb shelter themed dÃ©cor is heightened by a mammoth armour plated DJ booth and candlelit ammunition crates. The club takes its exclusiveness seriously and the cocktails have names such as M16, Espionage and Che's Revolution. 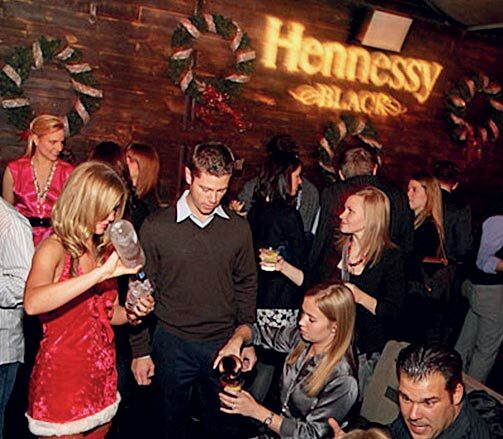 A basement converted into one of the classiest nightclubs on the north side of Chicago, this place has its very own rags-to-riches story to tell. Strobe lights, frequent celeb sightings, staffers outfitted in military garb, danceable music and very talented bartenders tell the rest.